Sister Noel Frey: I’m “retired” but kept busy with liturgy, music and chapel care here at St. Bernadine Convent. I have given an Earth Day Evening Prayer presentation., a Lenten Taize Evening Prayer, and created an evening presentation called Strings, Keys & Nimble Fingers. St Mariella Bradley, Executive Director at The Pines plays flute, and Gus Miller played the violin. They joined me in the presentation. I’m also on the board of SIS (Sisters in Shelter) a safe house. Osterhage, Mary Ann Shea: My daughter Patty passed away in August. Her husband and four children moved back to Memphis in Nov., so now all 12 of my grandchildren are here in Memphis. As for being retired: Been retired for 11 yrs. Been a caregiver for family – now have twin 3 yr olds and my daughter living with me. Nally, Theresa: As for being retired: I am retired and living in an assisted living retirement community called Hyde Park Health Center in Cincinnati, OH. I would like to hear from Sue Vogeli, Molly Nasser, Pat Devolder, Barb Beckman, Carol Grindle or any of my old pals. Tomasello, Antoinette Shultz: As for being retired: Dancing – Tap & Line Dancing, Bus Trips, Trip to Italy in June. Lyons, Deborah Lewis: Retiring on April 30th, 2015 after 36 yrs as a hospital and college librarian. Plan to be a snowbird, dividing my time between Perrysburg, OH and Ft Myers, FL. Married to Paul, with two dachshunds. Have a large extended family of siblings, nieces and nephews. Glaser, Maryann Terry: I am Executive Director of United Way of South Sarasota County. Ponkey, Mary Kondraciuk: Married and living in Michigan. I have a daughter attending University of Tampa majoring in Music Education. I am an artist focusing on abstract and contemporary painting and photography. My website is marykondraciuk.com and my business facebook page is Mary Kondraciuk Fine Art (https://www.facebook.com/pages/Mary-Kondraciuk-Fine-Art/139087982769228?fref=ts). I love to reconnect with classmates and enjoy catching up and keeping up with old friends. Baranoski, Linda Doering: I have six healthy and beautiful grandchildren! What could be better than the love of a child? As for being retired: Well since I made a career change about 15 years ago, in becoming a teacher, I’ll never get to retire! I’m in high school purgatory! Granata, Christine Hunt: I have been an accountant at Hoover & Wells, Inc. for 20 years. I worked part time when my children were young but now I work full time. Andrew, 20, and Caroline, 19, both attend UT. My husband Jim and I are adjusting to our new calmer life after many hectic years of soccer, lacrosse, scouts, etc. I volunteer at St. Patrick of Heatherdowns, and like to garden and read. My husband is a marathon runner and I can often be found riding my bike next to him while he runs and trains for the next marathon. Marcia Ann Krisher was born to John and Rita (Hart) Geiger on January 17, 1947. On May 15, 2015, she passed at the University of Michigan Medical Center surrounded by her loving family after courageously fighting a four year battle of leukemia. She was an inspiration to everyone she touched over her short 68 years of life. This includes her family, friends, and students where she taught in the Bedford School District for 42 years. She received her bachelor’s degree of education from Miami University and master’s degree from University of Toledo. Her zest of life included her worldwide travels of more than sixty countries, avid reader, love of writing, the arts, gardening, and entertaining with the flair of a gourmet chef. She would make the good times better by making everyone smile and laugh in unconventional ways. No one could craft a story like Marcia. She had a deep love for her family; the top of her list was her husband, Robert, of 47 years, and her children, Brooke (Michael) Gaetz of South Lyon, MI and Evan of Newport Beach, CA. The delight of her life were her beautiful grandsons, Liam, Sawyer, and Flynn Gaetz. She is also survived by her sister, Mary Janice Ott and family. She was preceded in death by her parents and aunts, Margaret, Marie, and Ora. Her spirit for life will be ever etched in the hearts of all who knew her. Please join the family for a memorial mass on Tuesday, May 19 at 10:30 a.m. at Our Lady of Perpetual Help, 2255 Central Grove, Toledo, Ohio. Memorial contributions can be made to the Dove Fund, a legacy of love and hope for the children of Vietnam, P.O. Box 350741, Toledo, Ohio. November 10, 1934, to Clare and Francis Mermer. and John, Matthew, and Vivien Lieb. shared these pastimes with his children and grandchildren. and more recently the St. Rose Endowment Fund. humor will be forever missed. Kathleen Connie McHugh, age 82, passed away on Saturday, May 2, 2015, at Hospice of Northwest Ohio surrounded by her loving family. Connie was born in Toledo, Ohio to Donald and Catherine Feak on June 28, 1932. She was a graduate of St. Ursula Academy in 1949. She attended Mary Manse College and graduated from Barry College in Miami, Florida with her bachelor’s degree in Education. Connie attended Bowling Green State University and the University of Toledo to earn her master’s of education degree. Connie taught remedial reading for various Toledo Public and Toledo Parochial Schools, retiring in 1987. She was the first female teacher at St. John’s High School in 1971 and 1972. 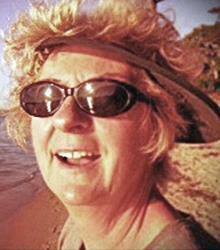 Connie was an avid reader, golfer, artist and cook. She shared her love of golf with her kids and grandkids and taught golf to numerous friends. She enjoyed winters in Florida at PGA National with her husband, John. Kathleen was preceded in death by her parents; husband, John McHugh, former Mayor of the City of Toledo; daughters, Cindy and Kelly; brother, Donald “Bud” Feak. She is survived by her children, Tim (Dolores) McHugh, Jim (Bonnie) McHugh, Bridget Cassady, Molly (Kevin) Branyan, Kathleen (Mike) Beach; grandchildren, Rachael and Hayley McHugh, Steve (Stephanie) Longoria, Marcus and Deanna McHugh, Carly Cassady, Cori, Tony, Mariah, Derek Branyan, Sean Beach; great-grandchildren, Aria, London and Jaelynn; sister, Dona Patricia Paupard, Jeanne Feak and sister-in-law, Nancy Feak. In lieu of flowers, please consider a contribution to either Hospice of Northwest Ohio or to St. Ursula Academy. Matthew Jacoby, loving husband of Alicia Rooks Jacoby, and father of two beautiful daughters, Angela and Lauren, at the age of 58, passed from this life surrounded by his family on Monday, April 20, 2015. After graduating from Saint John’s High School in Toledo, Ohio, Matthew briefly toured Europe before returning to study at Ohio State University where he obtained his Bachelor of Science in accounting. After working at accounting firms in Ohio, Dallas and New York, he came to Nacogdoches to attend SFA where he earned a Master of Business Administration. It was there that he met his future wife. After working at Alexander, Lankford & Hiers, he began to work for Commercial Bank of Texas in 1988, eventually serving as executive vice president and chief financial officer. Matthew had a unique sense of humor, enjoyed being active and embodied a character of moral values. He served on SFA’s Business Advisory Council, was involved in the Nacogdoches Community Coalition and was a member in Kiwanis International. He received a “born again” experience at Eastside United Pentecostal Church in Nacogdoches and later made Christian Life Center UPCI his and his family’s spiritual home. He served there as treasurer and as a board member. Esteemed by his co-workers and the community alike, Matt will be greatly missed. He leaves to cherish his memory his wife, Alicia; daughters, Angela (Martin) Lopez and Lauren Jacoby; mother, Betty Lyons Jacoby of Perrysburg, Ohio; brothers and sisters, Michael Jacoby of Ohio, Bart (Svetlana) Jacoby of Ohio, James (Rocio) Jacoby of Illnois, Andrea (Thomas) Brady of Ohio, and Jeanne Jacoby of Michigan; and a host of nieces, nephews and other relatives. He was preceded in death by his father, Gerald J. Jacoby, on March 12, 2009. Many thanks to the wonderful people from Matt’s church and work family, and to friends and neighbors for their support and many prayers. Visitation will be held from 6 to 8 p.m. today at Cason Monk-Metcalf Sunset Chapel, located at 5400 North St. in Nacogdoches, Texas. Services will be held at 2 p.m. Saturday, April 25, 2015, at Eastside United Pentecostal Church, located at 3801 Center Road (Highway 7) in Nacogdoches, Texas. Graveside service is planned for 4:30 p.m. at Still Waters Memorial Garden, located at 1025 SE Loop 456 in Jacksonville, Texas. Matt’s favorite scripture: Luke 23:43, “And Jesus said unto him, Verily I say unto thee, To day shalt thou be with me in paradise.” Online memories and condolences may be offered at http://www.CasonMonk-Metcalf.com. Services are under the direction of Cason Monk-Metcalf Funeral Directors. Cason Monk-Metcalf Funeral Directors.